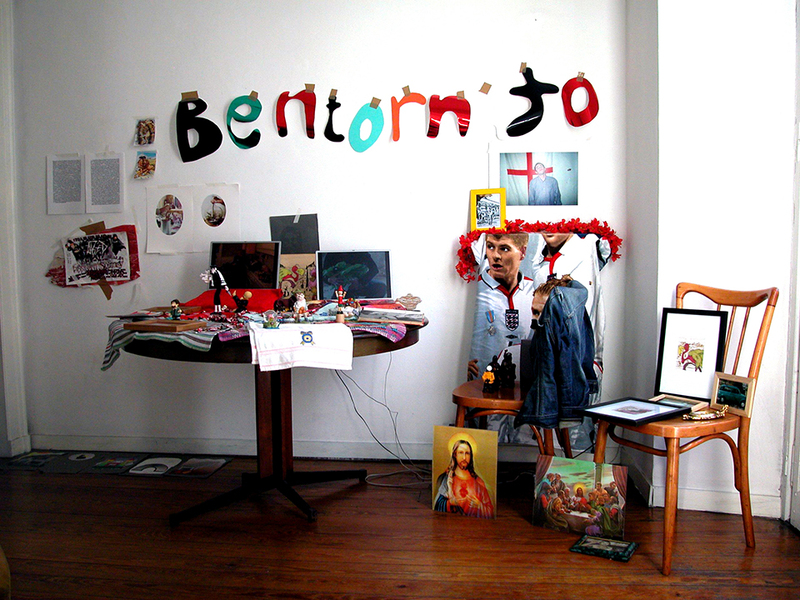 Bentornato (‘Welcome Home’ in Italian), was an installation set up by Ashery during the opening night and part of More Fools in Town, a project curated by A Constructed World and Charlotte Laubard, Turin, 2005. 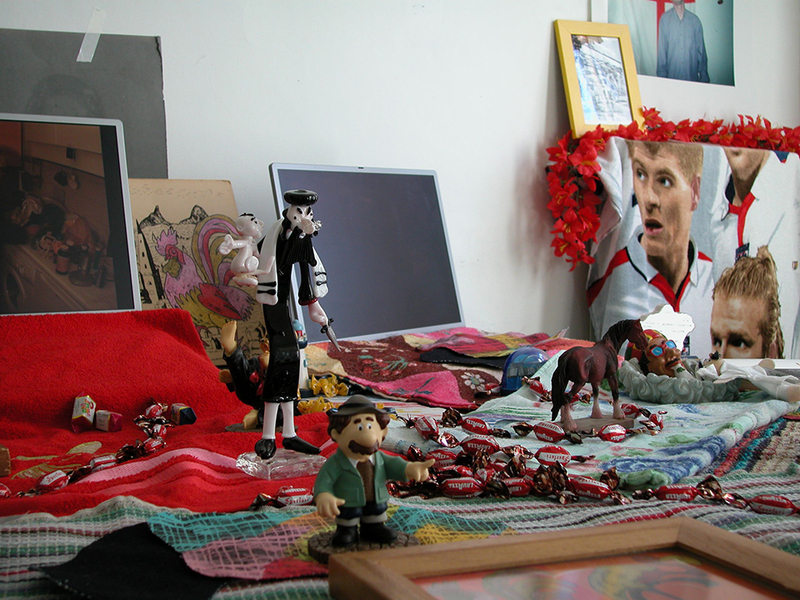 The exhibit included toys, objects, two video works – Dancing with Men and Shopping List for Live Art – drawings, collage work and a text on the history of the Jewish community in Turin, who have had to move from one neighbourhood to the next, wear red bandages on their shoulders, pay money to the rulers of the time in order to be treated better and were forbidden to take up certain jobs and education. 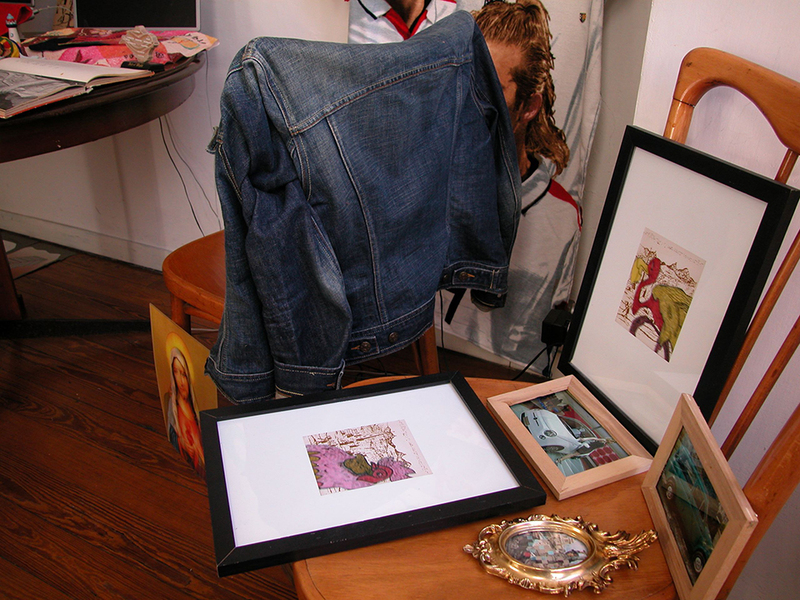 The exhibits referred to what the artist possibly collected in her travels away from her ‘home’ in Turin. 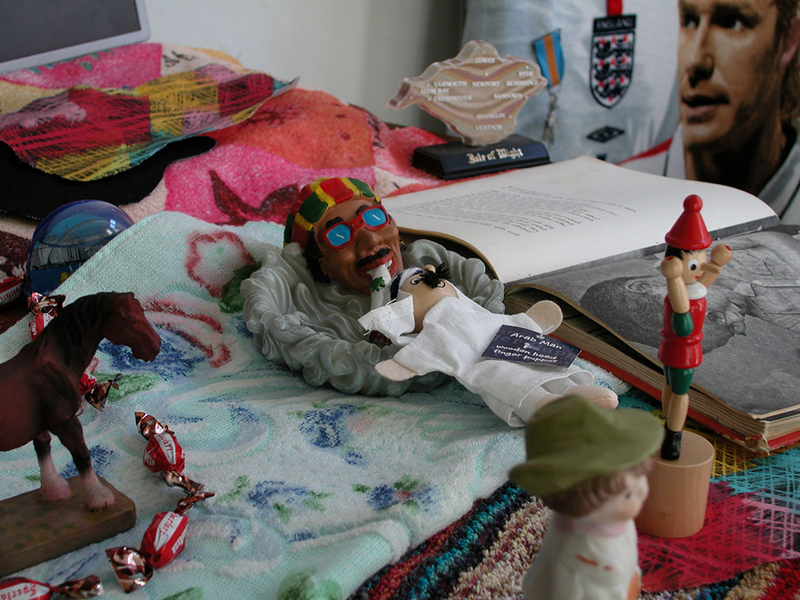 This work also relates to the growing demand and privilege of artists to travel and show works internationally. The constant movement makes the sense of home more complex.